View from rear of a crowd of people watching circus wagons passing by on a dirt road at Circus World Museum. 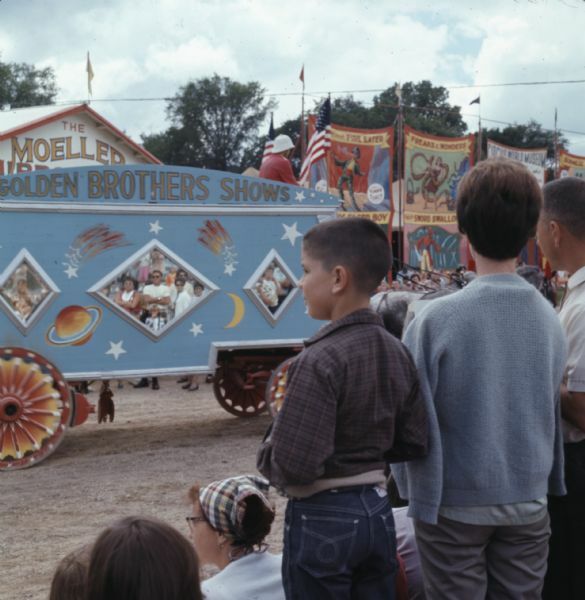 Two horses are pulling a blue wagon with red and orange wheels with the words "Golden Brothers Shows" painted at the top of the wagon. Large banners advertising circus acts are hanging in the background.